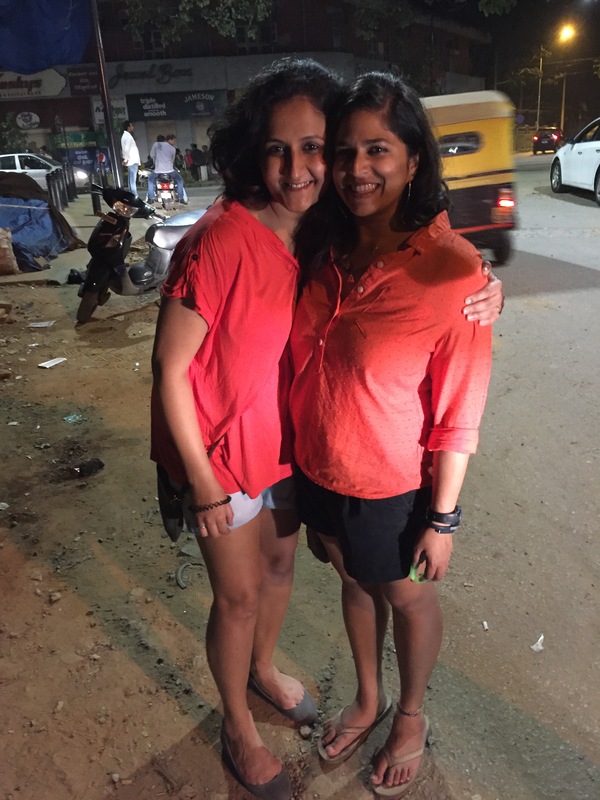 avni and i have been saying for months that we should do a pub crawl in bangalore. 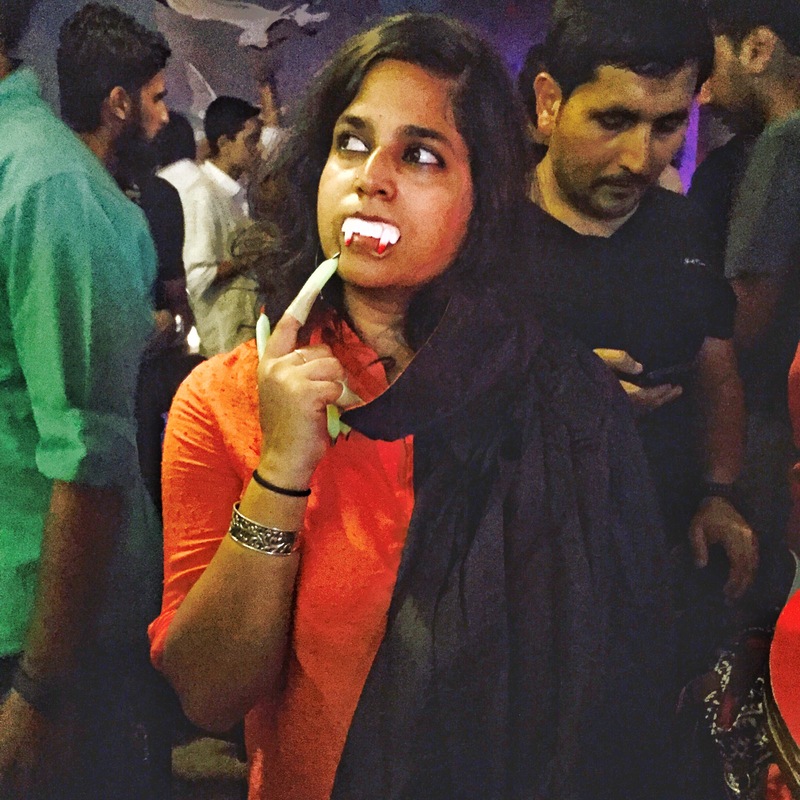 i am a big fan of pub crawls, and i have previously organized farewell pub crawls for myself in bangalore in 2011 and in bombay in 2013. even though i’m not going anywhere this time, we still thought it would be fun. after a few months of talking about it and thinking about it and brainstorming, we finally decided to do it. 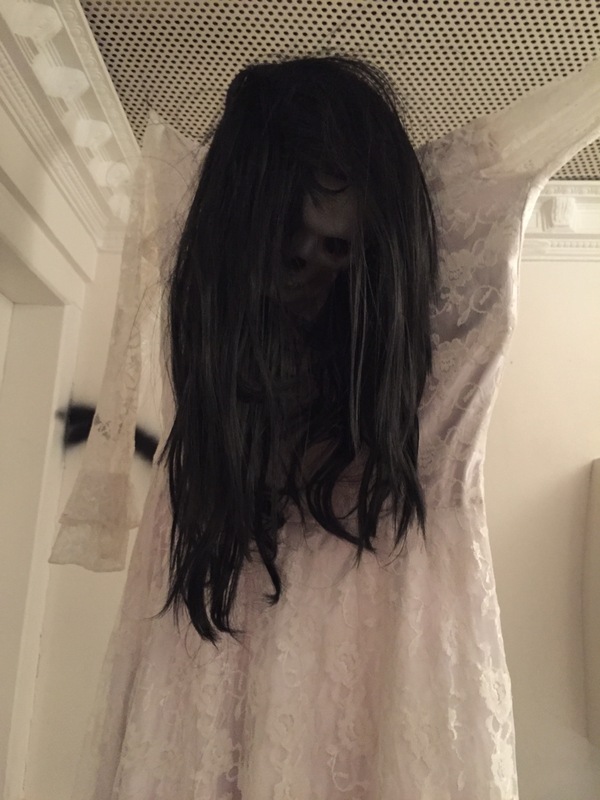 we chose the 31st because it was the first weekend that was convenient for both of us, and then i remembered that it had the added bonus of being halloween! even though i don’t celebrate halloween here the way i generally do in the states, it’s still fun to be out and about. we opted to keep this crawl to the city center for easy walkability and decided on a combination of new and familiar places. we put out the invite to a few close friends, assembled our group, and set off on saturday evening. we went back-and-forth on whether or not to do costumes, ultimately settling on an orange and black theme instead. 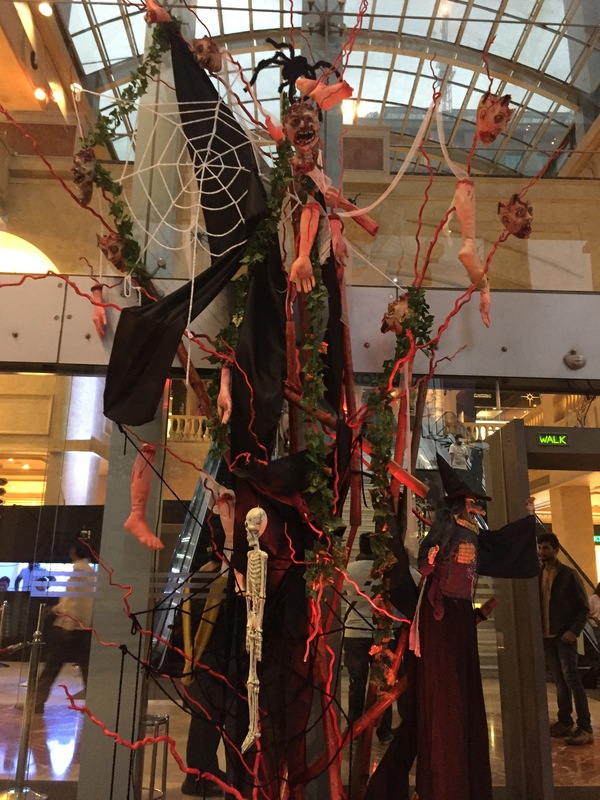 halloween decorations at ub city. bangalore, india. october 2015.
i began the evening with a drink at skyye lounge in ub city. the original plan was to head there and have a drink as the sun set over the city. everyone was running late, as per usual, but i decided to go anyway. i was going to wait for amai and kishore there, but then i found out they started charging a cover at 6pm, so i finished my drink at headed over to the biere club to meet everyone there. the bottom line on skyye: it’s the best place to have an unobstructed view of the city, but it’s overpriced and a little bit stuffy. head there if it’s your first time in the city, but you’re unlikely to find too many locals hanging out there. next on the list was biere club. it’s a lovely space, with three large floors to accommodate the crowd. we were there early on saturday, so i had no issue snagging a large table for our group to grow into. we had a drink and waited for people to slowly straggle in, and amai and kishore had some crispy chicken as well. we hung out there for about an hour before clearing out. the bottom line on biere club: it gets super crowded after 8.30pm on the weekends, but during the day and in the early evening it’s a great space. the focus is obviously on beer – i’ve heard good things about their seasonal mango – but they do a pretty good old fashioned as well. from biere club we headed next door to margaritaville lounge, since kishore had heard they have 2-for-1 specials all night. we arrived, realized we were the oldest people in there by at least 10 years, quickly had a drink, and left. the bottom line on margaritaville: unless you are below the age of 23, you have no business being in there. i don’t care how cheap the drinks are. 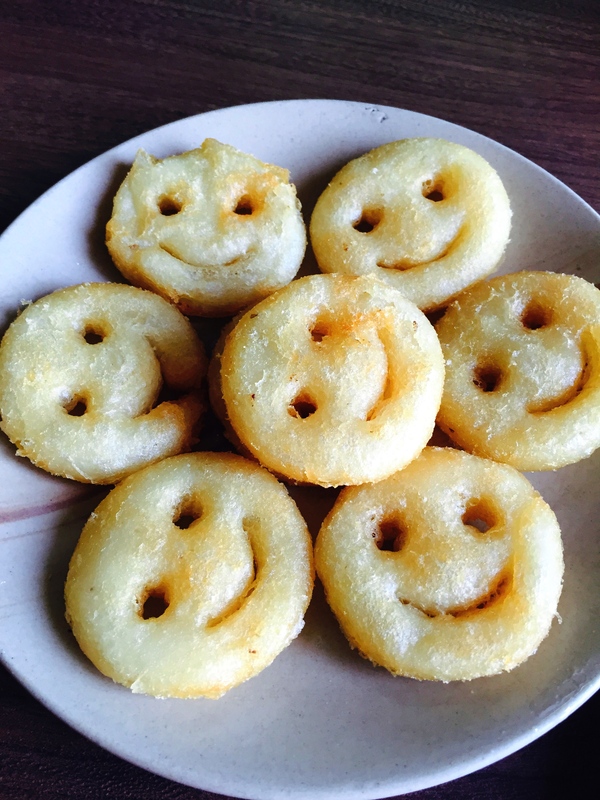 feeling nostalgic with some smileys at koshy’s. bangalore, india. march 2015.
next on our list was originally hard rock cafe, but by the time we arrived they were pretty packed and were charging a cover, so we headed to koshy’s instead. i am a big fan of koshy’s, and their drinks are dirt cheap. we had some smileys and some chilli chicken, and a few more of kishore’s friends joined us there. the bottom line on koshy’s: one of my favourite places in the city, whether it be for food, for drinks, or just to hang out. corpse bride in the bathroom at social. bangalore, india. 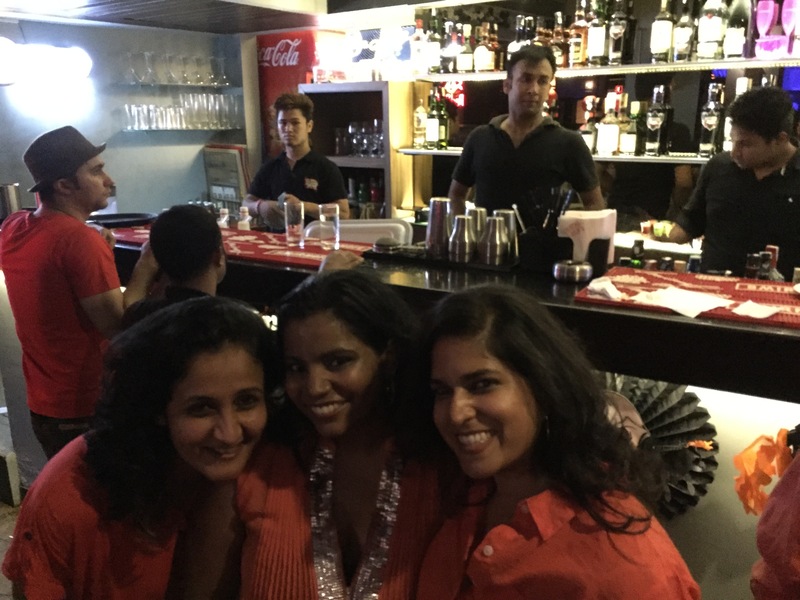 october 2015.
from koshy’s we next went to church street social. it was packed, and we were ready to leave and go somewhere else, but then we got a table so we stayed. we had a round of drinks / cocktails, and i had some of the “tennessee wings” as well. i never know what makes these things “tennessee”, but they were pretty good. the bottom line on social: i love the place for breakfast and to work from in the morning, but it’s too crowded for my liking at night. that being said, however, the deconstructed cocktails are pretty cool. with avni and amai at easy tiger. bangalore, india. october 2015.
our final stop for the night was easy tiger on church street. i had never been before, but amai and kishore know it well. there were a lot of people in costume, the music was pretty good, and we managed to snag a table in the back where we could congregate and dance. we had our final rounds here and enjoyed some free gifts in the form of creepy fingers and vampire teeth. i borrowed a cape from some random guy to complete my ensemble, but he sadly asked for it back. the bottom line on easy tiger: a fun place for dancing, and all the staff are friendly. the only downside for me is that they allow smoking. all said and done, i would say we had a pretty successful pub crawl. we had a fun group of people, we made it to five different places [six for me if you include skyye], and everyone appeared to enjoy themselves. other options in the area: scottish pub; hard rock cafe; blue frog; the lost caravan; pecos; guzzlers. choose places that are walking distance from one another. you don’t want to have to drive from place-to-place, and it makes it easier for people to join along the way if you are in a centralized location. keep the group a manageable size. if the group gets too big, it’s difficult to maneuver from place to place, and you’ll also have trouble getting a table if that’s what you’re after. for me the ideal group is 5-10 people, but that can vary up or down depending on you and your group of friends. agree on any guidelines ahead of time. do you want to stay in each place for a certain amount of time? a particular number of drinks? it’s good to have everyone on the same page with this so that there’s no confusion or petty arguments along the way. we agreed on one drink in each place for our crawl, and that’s how we were able to visit so many places. carry cash. you’ll save a lot of time on splitting checks if everyone carries cash with them. that way you don’t have to do too much mental arithmetic, and you have more time to enjoy crawling from place to place. we also just split checks evenly across everyone, which worked out pretty fairly over the course of the night. it saved a lot of headaches, and we were able to settle bills quickly and easily. avoid places with cover charges. on saturday nights in bangalore, a lot of the trendier places will charge cover prices. often it will be a price per couple, but it’s usually a minimum of rs. 2,000. some places will then give you that back in food and drink coupons, which is fine, but others might give you only a fraction, so you have to determine if it’s worth it for your group. that’s why we skipped on hard rock and ended up at koshy’s instead. which is not something i am going to complain about. our next plan is to do a crawl through 12th main in indiranagar sometime after new year. there are a lot of places along that road that are fun hangouts, so i am looking forward to that! 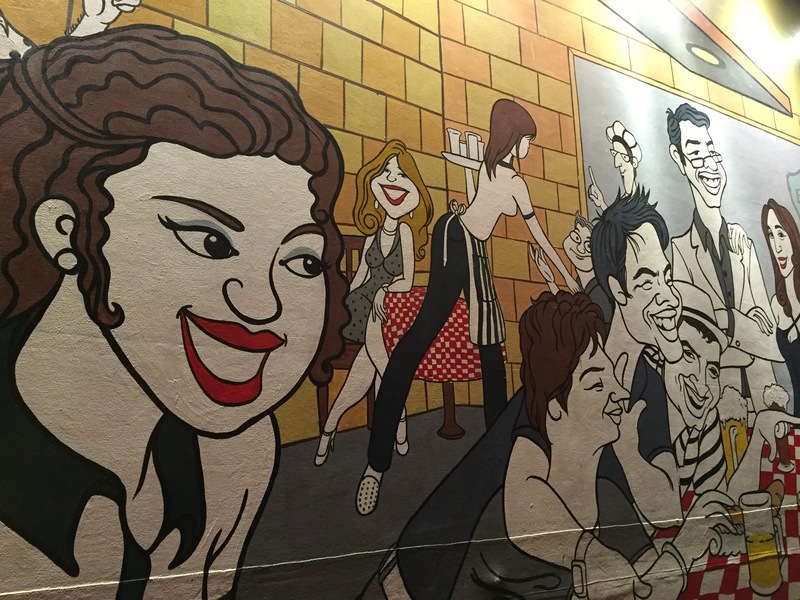 do you have any tips for great pub crawls? i’d love to hear about them! bangalore eats: dinner + wine at cafe max.